This past week, former State Representative Jim Wayne authored an opinion piece that encouraged Catholics to oppose the Scholarship Tax Credit proposal known as House Bill 205. While I appreciate Representative Wayne and his years of dedication to our state and the Catholic Church, I feel compelled to respond to his central claim that Scholarship Tax Credits are contrary to Catholic social teaching. 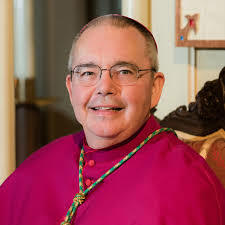 I support the effort of Archbishop Joseph Naumann, chair of the U.S. Bishops Committee on Pro-Life Activities, to pray and raise awareness about legislation that was defeated in the U.S. Senate, the ” Born-Alive Abortion Survivors Protection Act,” which would have prohibited infanticide. Conversations is a monthly, 30-minute television show in which I participate in an ongoing conversation about the Archdiocese of Louisville, my involvement with the larger Church (both nationally and globally), and issues of faith in general. In the first segment from our March 2019 episode, Chancellor Dr. Brian Reynolds and I discuss the Lenten Message from Pope Francis and good spiritual practices for Lent.